Indigestion includes a wide array of gastrointestinal problems including flatulence (gas), belching and bloating. Going without food for long. And long intervals between 2 meals. Apart from the above causes, women experience a lot of gas and indigestion during the first and third trimesters of pregnancy. Also, people who are obese also suffer from indigestion more often than others. When a person is suffering from gas and indigestion, he/she is unable to concentrate on work. Often, one is unable to find a comfortable position to rest. Stomach cramps and pain make it difficult to eat anything and perform day to day task. Eating small frequent meals instead of binge eating. Cutting down fatty and fried foods from your diet. Eating dinner at least two hours before going to sleep. Or slow pace walking for 5 – 10 mins after dinner. Not taking too much stress. Here are some instant home remedies to get relief from gas and indigestion. medicines have only a temporary effect on your problem. But home remedies can take you a long way in solving this problem. Ginger helps to produce enzymes that facilitate digestion of food. 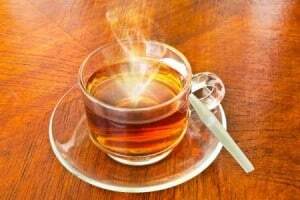 A hot cup of ginger tea helps to relieve gas, cramps, bloating and stomach aches. In fact, chewing a slice of ginger after eating food can help to prevent acidity and gas. Alternately, you can also add a few drops of lemon juice with a little ginger juice and a teaspoon of honey in warm water and drink this after ever meal. This is one of the most common Indian home remedies for gas. 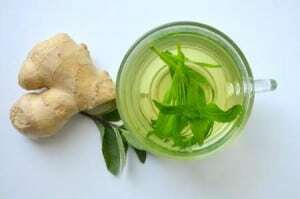 You may be interested in reading Benefit of Ginger in pregnancy and gastric problems. This is one of the most refreshing home remedies for gas problem. Although, it is said that milk should be avoided if you’re suffering from indigestion. Buttermilk is a form of lactic acid that is the easiest to digest. It soothes the stomach and gives relief from acidity. Just chewing a seed of cardamom or sipping some cardamom tea can help to get relief from gas and indigestion. Cardamom seeds can also be added to some vegetables. This will prevent indigestion from occurring. Keeping your body hydrated can help to prevent and cure acidity and gas. If possible, start your day by drinking lots of water and continue to do so throughout the day. Water helps to eliminate all the toxins from the body and cleans your entire system. Bloating and gas are a common occurrence during pregnancy. Due to the increased production of the hormone progesterone in the first trimester, the food moves very slowly through the intestines and this causes gas. In the third trimester, the growing fetus puts a lot of pressure on the gall bladder and this causes bloating and constipation. About half an hour of light exercise is ideal to get relief from gas and bloating. Take care not to overdo it since it can be strenuous. You can even try yoga to get relief from gas and bloating. Eating a fiber rich diet can help you to drive bloating away. These help to digest the food quickly and regulate bowel movement. Freshly cut fruits and vegetables in the form of salads must be included in the diet every day. 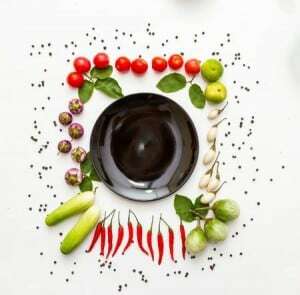 Indian diet plan for pregnancy. Take a teaspoon of carom seeds along with a little bit of salt and let it down your throat with very little water. Carom seeds are very helpful in relieving gas and indigestion. This is a traditional Indian home remedy for gas and constipation. Coconut water is a laxative and it helps to relieve acidity and gas. It contains various important minerals and proteins that are very beneficial or the baby. Often gas forms in the chest and causes a lot of pain and discomfort. Although passing gas is considered normal but many a times, it creates a burning sensation in the chest, more commonly referred to as heartburn. Drinking too many carbonated beverages, eating too many beans, anxiety, gallstones and food intolerance are some of the causes of gas and pain in the chest. Aerated/carbonated drinks contain a lot of gas and hence should be avoided, since they add to the gas formation. Instead, drink plenty of water. Increased intake of water helps to move the undigested food and aids in digestion. If you’re suffering from gas in chest, avoid drinking milk and consuming other dairy products. Dairy products take longer to digest and will only add to the discomfort. If you’re experiencing gas and bloating regularly and dairy products form a major chunk of your diet, then you must try to avoid them for a day and see if feel any difference. Often, lactose intolerance can lead to gas and pain in the chest. Consuming hot tea is considered a very potent home remedy for gas pain. You can add some other powerful ingredients to get instant relief from gas and pain. These include ginger, peppermint or any other herbs. Not only do they prevent the buildup of gas; they also lend an amazing flavor to the tea. Don’t let gas and indigestion ruin your schedule. Eat a nutritious and well-balanced diet with lots of salads. Just keep our home remedies handy so that you can kick out gas whenever you want! This article is very important for me, which i searced from a long time. in indian cuisine. thanks alot mam. My mother is suffering from chest pain, in stomach as well as near breasts,, since 2-3 months , she has consulted so many doctors but yet she is not satisfied and she is very upset, very stressed.. Can u plz help me ma’am. I would be very thankful to you..
Hi, In a month my wife generally have acidity problem for 3-4 days. It could be side effect of those antibiotics ? Wht should I do wd my abdominal cramps ? it will clear off in 10 dYS IF IT IS BCAUSE OF THE ANTIBIOTIC. IF IT CONTINUES EVEN AFTER 10 DAYS OF LEAVING ANTIBIOTIC , YOU CAN SEE THE DOCTOR. are you taking ajwain ? that normal helps . its been a week now , soo if your doctor permits , take small stroll in your room itself , this will help in digestion … are you eating light ? please loo into the diet as well. Thanks Payal for writing this blog. I usually form lot of gas after eating one of the following during lunch. Rajma , Chole , chickpeas , cabbage or cauliflower. One option is to avoid this, but for some reason if we eat these, then is there any effective way or remedy to stop gas formation. I am seriously suffer from this gastritis problem from last 6year.i had already done operation of duedonal ulcer before 3month.i took antibiotics gor 14days and 2month pataprazol. I stop smoking also I didn’t drink alcohol too. I had also eating non spicy non oily food. still i am suffering from excessive gas comes through mouth. I think this called burping and bleaching. And some time pain in the stomach where operation had done. Please give some good dietplan and suggestion to come out from this problem.